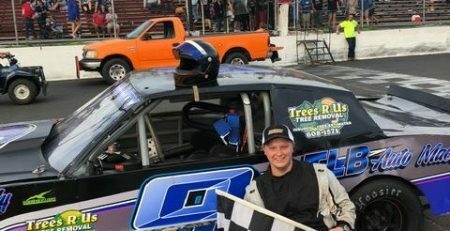 WATERFORD — There is a dead heat in the SK Lite Modified standings at the New London-Waterford Speedbowl and Jonathan Puleo of Branford is in the thick of it. Puleo, 14, and an SK Lite rookie, is tied with Wayne Burroughs for the point lead with two races remaining. Race No. 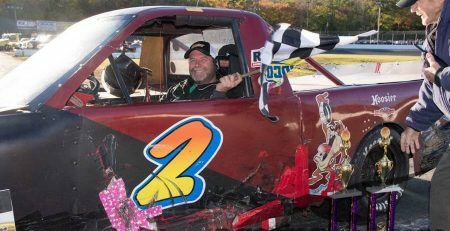 1 of the two-race tussle for the trophy will take place Saturday as part of the Speedbowl’s eight-division race program. The final race will take place during the Speedbowl’s finale from October 20-21. 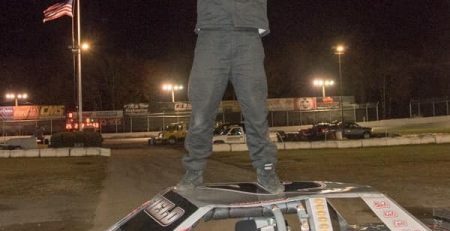 So far the strategy has helped him grab five victories, the most in the division, including a breath taking come-from behind win on Sept. 29 when he buzzed underneath Burroughs on the final lap. 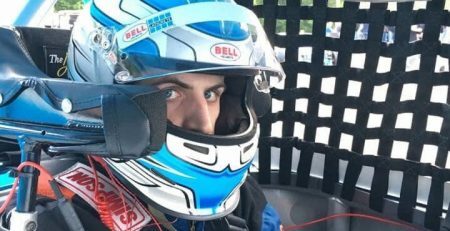 “I think that move came from watching Keith Rocco race since I was five,” said Puleo, referring to Waterford’s all-time win leader. “I always wanted to try one of his moves. In the race, I tried the top groove a few times and it wasn’t working. So I just went under the 32. I know the 32 was doing everything he could do to win, so I had to do everything I could do to win. Rocco also helps with the car set-up along with Puleo’s dad, Ed Puleo, a former Speedbowl champion. Puleo’s car has been known to get better as the race goes on — several of his wins have been come from behind efforts. Especially when the point standings are as close as they are between Burroughs and him. Puleo’s sponsors include Mr. Rooter Plumbing, Graybar, Tick Free Organic Tick Control, Santoro Development, Big A Auto Parts of North Branford, Honest John’s Used Cars, Critical Signs, Keith Rocco, Hamilton Market, Hocon Industrial Gas, Race Choice, Race Dog Photography, Waddell Communications and Foxon Park. His dad Ed is the crew chief. 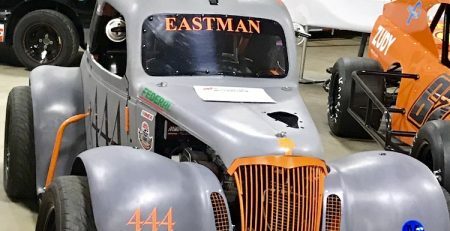 Other crew members include Spotter Steve, Uncle Carl Dempsey, Steve Godfrey, Glenn Francis, Matt Crowley, Rob Janovic Jr., John Volpe and Gotta. “I never thought I would be in this position at this time of the season,” Puleo said. “But my goal since the start of the season was to win as many races as possible. There’s no reason to change now. “I have a good team and I trust the guys. Guys like Rob Janovic are keeping me in check, making sure I don’t get too excited. I just can’t wait to see how this plays out and hopefully the No. 57 can get a couple of wins. That’s because he doesn’t want to be blinded by the glare of the Big Trophy until after the season is over. Saturday’s race program will be a combination of regular divisions and touring divisions. The NEMA Midgets, NEMA Lite Midgets and American Three-Quarter Midgets will be competing in features that were postponed from Wings & Wheels on Aug. 11. Randy Cabral is the point leader of the NEMA Midgets and Danny Cugini leads the NEMA Lites. Matt Janisch is the point leader in the Three-Quarter Midgets by 24 points over Joey Bailey. 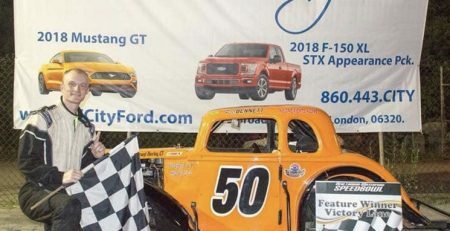 Five of the Speedbowl’s weekly divisions also will be competing — the SK Modifieds, the SK Lites, the Late Models, the Sportsman and the Mini Stocks. 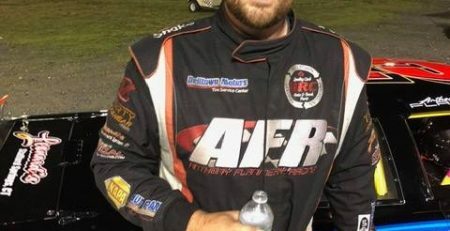 In the SK Modifieds, Kyle James leads by 31 points over Rob Janovic and by 36 over Todd Owen. Anthony Flanney leads Jason Palmer by 3 points in the Late Models. Shawn Gaedeke has a 32-point cushion over Jason Chicolas and only needs to finish higher than Chicolas in the 30-lap feature to lock up the title. Charles Canfield has an 8 point margin over Doug Curry in the Mini Stocks. 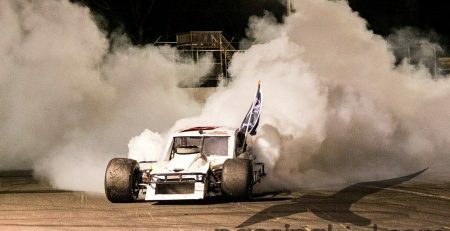 Fans will be treated to a 15-minute exhibition of drifting competition, with cars going sideways all around the Speedbowl. Drifting took place Sept. 23 at the Motor Jam and was well received by the fans.